Introduction: Idea of TECN Alumni Association 1st come in one of a Iftar Pary organised for 1st Batch on 10 July 2015. . In the light of this event, in the presence of all the former batch, on June 18, 2016, the heart of the first batch was attended by the convenor of Hriday Hira (first batch), 10 joint convenor Tariqul Islam (1st batch), Jony Das (1st batch), A N M Ataullah (1st batch) ), Mohiuddin Atik (2nd batch), SM Suman Xiku (2nd batch), Md Alamin (2nd batch), Shailen Saha (3rd batch), Abdullah Mohammad Al Amin (3rd batch), M Kamrul Hasan Selim (4th) Batch), Pronob Roy (4th batch) and 4 IT advisers Md. Saidul Karim Riaz (1st batch), Mohammad Imranul Haque Shimul (2nd batch), Md Tarek Aziz (3rd batch) and Shantanu Shuvro (4th batch) a Committees was formed, under whose supervision the constitution and organization were organized. Through a successful election on March 26, 2017, the Constitution passed 100 percent of all members in the Gov. and the Association was officially recognized. 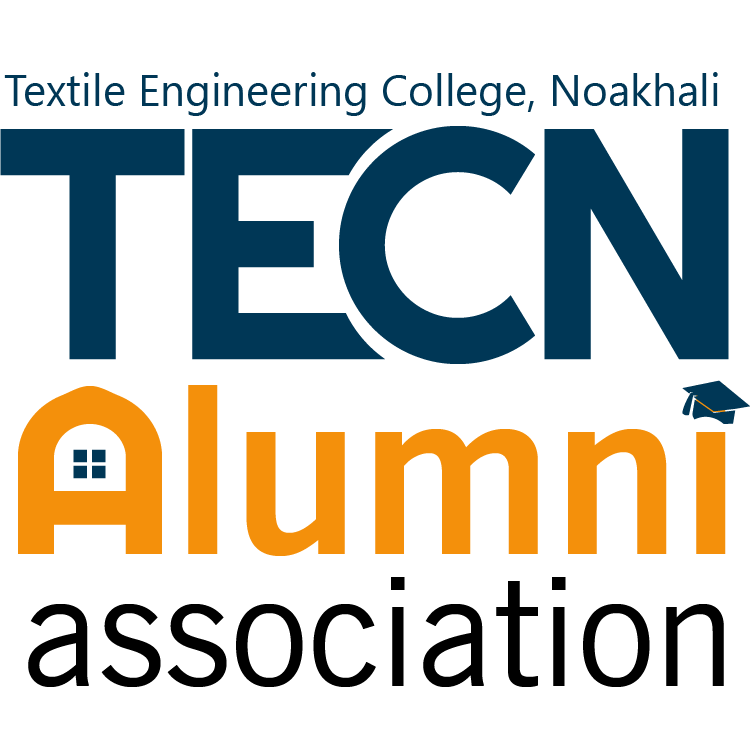 Textile Engineering College, Noakhali Alumni Association. Textile engineering college, Begumganj, Noakhali. G. Graduate means undergraduate and post graduate certified person. I. General Assembly means that the council comprised of all general and life-long members. J. Vote means agreement on any subject. It may be in electrical or direct consent. However, the executive committee will be elected and the constitutional decision will be through direct voting. K. General meeting means meeting with all the members of the association. Where at least 50 people will be present. This Association is a non-political and non-profitable organization. There will be a seal of the association, which will be in the custody of the general secretary. D. Establishing a fund to help the deserving students. E. Preparation and execution for the meetings, seminar, symposium, workshop, exhibition and entertainment for the alumnus. F. Establishment of library, museum, conference center, research and development center, cultural center and sports and refreshment center. G. Publishing Bulletins, write-ups and books. H. Organization of social, cultural, sports related and other entertainment means. I. Establishment of alumni association across the globe; ensuring the better environment for the education. J. Carrying out different activities to develop the quality of the education. A. A branch of this organization can be founded in a foreign country which should be consisted of no less than 21 alumnus. In case of opening branches in different major cities within Bangladesh, the number of member alumnus should me no less than 50 and in case of branches in towns the alumnus number should be minimum 25. Nevertheless, all of them must be a lifetime member of the association. B. Affiliated branch name should be Textile Engineering College, Noakhali alumni association, ——– (name of the place). C. The branches will work towards achieving the mission and vision of the organization. D. The annual report and the names of the members of the association should be sent to the general secretary of the association on a regular basis. E. The members of the branches will also be the members of the association, Even though they can be the members of the TECN alumni association if they will. F. The fees of the general and lifetime members should be sent through concerned branch to the finance secretary/general secretary of the association. G. Any permitted project expenses can be allocated in the accounts of the branch associations. H. Any branch can send money to Textile Engineering College, Noakhali, for any activities which is related to the mission and vision of the association. I. All the regulations and constitutions regarding the general committee and the executive committee of the main association will be applicable for the branches as well. J. The foreign branches need to operate their activities keeping a synergy with the main association. K. There will be a seal of the branch in the association branch, which will be in the custody of the secretary. The alumnus defined in the clause 4(b) are only eligible to have the position. The alumnus defined in the clause 4(b) are only eligible to have the position. Proposals for giving lifetime membership to a respected member shall be considered by the executive committee and shall be informed in the annual general meeting. If the governing body wills they can give the membership to those who can be beneficiary in terms of the prosperity and expansion of the association, the donors and famous personalities. But the honorary members will not have voting rights nor can they participate in the election. TECNAA governing body will decide this position for any famous personality and the offer has to be validated by 70% of the governing body members. Which can be adjusted if necessary. However, the proposal for revalidation will be presented by the executive committee for consideration of the General Assembly and passed by the General Council vote. Any alumni of Textile Engineering College, Noakhali (4B) can apply through the application form for the membership of the Association by paying full obedience to the rules and regulations of the association and the applicant will be considered as a member of the association only if approved by the secretary member. Shall be deemed to be Provided that the Secretary member reserves the right to accept or reject any application. A. To attend to the general meeting, participate in discussions and submit proposals. B. To demand explanation of the executive committee’s functions and to seek the reimbursement of income-expenditure. D. Members of the branch will take part in any election related to that branch. E. To be included in any representative team of the association. F. Counseling for the development of the organization or working in the Election Commission. G. To apply for assistance from a member of organization (i.e. job, financial, educational support, accident etc.) for the time being needed. H. Every member shall be given a member card or identity card according to the decision taken by the executive committee. A. Voluntarily Resigns; the member who wishes to leave the membership will have to send a resignation letter to the secretary member. The resignation letter can be withdrawn until the approval of the secretary member. The decision of the secretary member shall be deemed to be final; if such resignation is received, the member will no longer apply for membership. F. Is convicted by the court. Any member performing any work that is excluded of the constitution and against the objectives and goals of the association, if so, under specific charges made, with initial investigation of the secretary member and with two thirds member’s approval, his membership can be temporary suspended and if found guilty, he/she can be fired. If the membership of any member is canceled except 14(A), he / they can apply for the reinstatement to the Executive Committee according to Section 11, and the Secretary member may consider it. A. Principal of Textile Engineering College, Noakhali, will be the main sponsor of the Alumni Association. Besides, Professor and Registrar will be the sole sponsor of the association. B. Out of the alumni, elite, prominent individuals, who have contributed to the welfare of the Association, can be nominated as a member of the Advisory Council of the Association. The executive committee will finalize the nomination list and advisory functions and activities from time to time. Which can be adjusted if necessary. The sponsor’s recruitment shall be presented by the Executive Committee for consideration of General Council. According to section 21, there will be an elected executive committee of the organization. All members of the executive committee shall have equal franchise in the meeting of the Committee. But in the case of equal voting, president may give casting vote. The executive committee may constitute a sub-committee for specific matters and for a specific period as per the requirement. There must be at least one executive committee member in the sub-committee. The affairs of the sub-committee shall be confined in that regard. In relation to any external matter, he has to coordinate with the executive committee. To manage the daily work of the organization, the executive committee can appoint officials and staffs as per the requirement. The Executive Committee will be responsible for the daily activities of the officers or employees. The President may call the meeting of the General Assembly on two weeks’ notice. However, the annual general meeting shall be called for at least two months’ notice. The number of attendance required for the General Assembly meeting or quorum, in the presence of minimum 50 members, but if the required number of members are not present within half an hour of the scheduled time for the meeting and if there is no other announcement, the general meeting shall be deemed to be adjourned and the time and place will be informed later in three days. For the next session of the adjourned meeting, if necessary number of member remain absent for half an hour, the General Assembly meeting will be held with the present members and in that case, necessary presence will be deemed to be present. The number of attendance required for the executive meeting or quorum, will be minimum more than half. However, if the required number of members are not present during the time of the meeting and there is no other announcement, the meeting of that General Council shall be adjourned and within three days’ time, place should be informed later from the committee. According to the written papers of at least 75% members of the General Council, the president will convene a general assembly meeting to decide on a specific matter. If the call is not made within 15 days from the date of receipt of the papers, then the signatories of the papers for the summoning meeting can call themselves to decide on only the specific matter through proper notice and the decision will be taken by the three-fourths of the members present. A. Association will have an executive committee. C. The next annual general meeting and the executive committee election will be held in accordance with the constitution Two years after the previous election on 21st February. The executive committee’s tenure will be till the transfer of the power to the next committee. D. All decisions of the executive committee shall be received by the support or vote of majority members present in the Executive Committee. E. If anyone is elected twice in the same post for president and general secretary post, he will not be able to compete next time. F. If the president of the departing Executive Committee is not elected again in the next committee, then he must attain the post of secretary member on the next newly formed committee. In this case, all previous work connections will remain in the next executive committee. G. If any executive or member of the executive committee resigns / exempt / non-extinguish / expulsion / suspension / death or for any other cause any post becomes vacant, it can be filled by co-option in support of two-thirds of the members present in the executive committee meeting. H. In the first meeting of the newly elected committee, within 10 days of taking power, the committee members will select the secretary member and IT advisory posts by co-option through two-thirds vote and will inform the General Assembly. M. They may make sub-rules for performing the duties and responsibilities entrusted to them. However, that sub-rule may not conflict with the constitution and contrary to the goals and objectives of the Association. Provided further that the executive committee shall submit for approval of sub-rules made at the next annual general meeting. P. Meeting minutes and discission should be noted on specific notebook. In next meeting, General Secretary will place this minute and take relevent signatory. D. If necessary, he will give interpretation / decision on any section, sub-section of the constitution, and that will be deemed to be final. F. In case of emergency he may call upon a meeting of the Executive Committee any time at minimum twenty-four hours’ notice. C. In case of premature vacancy for the president post for any reason, the vice president will serve as an acting president. In the absence of vice president a member of the executive committee may be selected to preside over the meeting. D. With the approval of the president he shall prepare the annual report and the annual income and expenditure accounts and submit the audit report before the Executive Committee and the General Assembly. E. In consultation with the president, he shall maintain contact with government, non-government and various institutions on behalf of the Association. K. In consultation with the president, on any requirement, he shall convene the regular executive committee meeting along with other emergency meeting, on a 7-day notice. A. He shall support the overall work of the general secretary. B. In absence of general secretary, joint General Secretary shall perform the functions of General Secretary. C. In consultation with the General Secretary, Office Secretary shall perform all the official works and maintain all official records. Statistics and reports shall be made and retained by him. D. He shall preside over the meetings in absence of president, vice-president and general secretary. Shall opine on formation of branch of the association, and submit for the approval of the Executive Committee. B. Shall take the measures to keep money in the selected bank of the Association. D. For the growth of the fund of Association, he shall prepare plans and implement them with approval of the Executive Committee. F. Receipt books of donation, bank receipt, check books, all kinds of Association accounts, vouchers, bills and account related papers shall be under his supervision. For emergency expenditure of the Association, under the knowledge of the general secretary he can personally keep maximum 10,000 / – (ten thousand) taka in cash. H. All modern accounting policy of conventional accounting system shall be applied to the accounting of the Association and shall be conducted under the supervision of treasurer. A. In order to promote the standard, objectives and current programs of the association Among the Alumnus of Textile Engineering College, Noakhali, he shall arrange a variety of programs/activities and publish brochure, posters, leaflets etc. in that purpose. B. In favor of the Association, he shall take all the measures to publish the activities in various news media and by special carriers, through the mail or newspaper that will be sent to the members of the association. A. On behalf of the association, he shall take measures to publish journal/leaflets and will arrange cultural ceremonies in the collaboration with the literature secretary. B. All recreational programs of the association, such as music, drama, dance, sports events and other activities shall be conducted by him. B. Will increase technical contribution to the social welfare of the association. A. Meeting the issues related to women and child affairs in association and college with constant care, and solve them. B. Keep in touch with related state-level organizations. Increase the overall image of the college and association. A. General Secretary or executive committee shall perform the functions assigned to it by that. B. Members of the Executive Committee of the Association shall support all kinds of operations. C. Shall propose a name for the post of honorary member of the executive committee. D. Shall coordinate and negotiate among the ordinary members of the executive committee. A. Shall help the executive committee for the campaign of Textile Engineering College Noakhali alumni association. B. For the ease of the communication among the members, he shall manage and develop all IT-based technical sides. C. Look after the technical sides in any necessity of the association. A. An executive committee shall be formed by direct vote of general and lifetime members or by consensus of all. B. One member from each of five batch passed recently from the college will form a five-member commission. C. The Secretary Member will constitute the Election Commission two months before the expiry of the executive committee. E. With the help of the Executive committee, the Election Commission will prepare voter list and publish it for all. F. The election commission will announce the election schedule at least one month before the election. G. All legitimate members of the association will be voters. However, only those who become members six months before the upcoming election, can participate in the election process. H. Candidate for any post must be voter. I. No member of the Election Commission can contest the election. But they possess right to vote. J. Any candidate can compete in any post from panel or individually. However, one person cannot be candidate for more than one position simultaneously. K. To facilitate the election, the Election Commissioner will be able to choose Volunteer from the running students. M. Election expenses: Arrangement of election ballots and ballot boxes, hall rent, transportation and hospitality expenses of election commission volunteers and visitors on Election Day, sound and decoration expenses, documents for election purposes and election expenses are beyond this. N. Each panel can appoint an observer. They will be able to monitor the voting, counting and declaration of results. O. The election announcement, oath will be read on the Election Day. The chief election commissioner will read the oath. P. The Chief Election Commissioner has the power to postpone the elections due to undesirable reason. In this case, on the third day he will notify all the members from the Election Commission with the date of the next election. The next election will be in one month. Q. In the next one month after the election, all the election expenditure accounts and the posterity of the money will be released to the next finance secretary. R. No action of the Election Commission can be questioned in light of the above rules. The verdict of the Election Commission shall be deemed to be final in the light of the above rules. preservation. However, it is needed to be approved from the secretary member if any. T. Tenure of election commission will be 1 month after successful election. A. For vote of non-confidence, At least two-thirds of the general members shall give notice to the Secretary Member in writing against the executive committee or any member of its own. After receiving the notice, the Secretary Member shall raise it in the meeting and the President must call for a general meeting based on him. In this case, in the general meeting, in the presence of three-fourths of the total members, two-thirds of the vote will be required. B. In the next thirty days, after the passage of non-confidence, the election of new executive committee or filling vacancies shall be made. If it appears to the executive committee that it is not possible to perform the assigned work or duties of the association by a designated officer or member of the executive committee, then the committee will give notice to that officer and the member, and with two-thirds executive committee votes, the officer or member would be Exempted from his duties or from the general membership. If any member of the executive committee is involved in harmful activities for the association, then after giving a notice of show-cause in the 7-day notice. Then after receiving his explanation, executive committee can take effective action in relation to exempting after scrutinizing it through the sub-committee. In this case, any objection from the exempted officer or member shall not be acceptable. F. Raising and discussing any other topic with the permission of the President. G. All decisions of the Annual meeting of the General Assembly will be accepted by the majority of the voting members. In the case of equal voting, the President may cast casting vote. H. The General Secretary shall submit notice of all proposals received from the members to the executive council at least ten days before the meeting of the General Assembly and if these proposals are considered by the executive council, they will be presented it in the general meeting. I.Honorable lifetime members, chief donor will be eligible for joining the meeting and speaking. All the assets, including the fund, will be acquired, recognized and managed in the name of association and will be vested with the Association. The association fund will be formed by donation from various individuals, organizations, members and the government. This fund of the association will be stored by the executive committee in any fixed bank (banks or post office savings, projects or in leasing companies, or more profitable institutions). However, in the annual general meeting the location of these funds will be informed. A. Money acquired for a specific purpose shall be deposited in the special fund. B. All lifetime members donations will be credited to the collection fund.. The executive committee may transfer 50 percent of the total funds collected in this year (as a permanent or temporary loan). C. Deposits, annuities and funds received from various sources will be credited to the general fund. If the Executive Committee wants to invest in the interest of the Association, then the money from duty fund can be invested in government securities, savings certificates or any other profitable sector. Through the auditor, appointed by secretary member, General Secretary will submit it for approval in annual general assembly on behalf of the executive committee. Auditor can be nominated from the members or by any private audit firm. A. Proposals for amending constitution and rules will be considered only in the Annual General Meeting of the General Assembly or in a special general meeting convened in this regard. B. Such proposals may be proposed by the Executive Committee or any Member to amend. D. It may be amended by the voting of two-thirds of the members present in the general meeting, if there is a need for change, modification, correction, contraction, addition or adjustment of any section, sub-section or word of this constitution. E. As soon as the amended amendment in the General Assembly is accepted, it will be treated as part of the constitution. F. The amendment will be added as an attachment to the constitution and the context should be mentioned in the context. 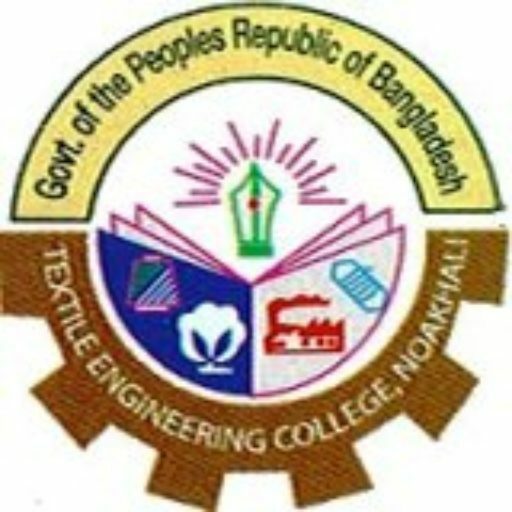 If the Association is abolished, unless there is no other decision by the General Assembly, all the movable and immovable property of this Association shall be treated as the property of Textile Engineering College, Noakhali. There will be a reliable version of this constitution in Bengal and a reliable version translated into English and both the versions will be considered as trustworthy; but there is a condition that in case of conflict between Bengali and English versions, the Bengali version will prevail.